“I will definitely give up smoking – that’s my New Year’s resolution,” she stated emphatically as she thumped her fist on the table to underline her determination. “All very well”, I thought, as I sat opposite her in my medical consulting room in October. What is it about New Year’s resolutions that we find so compelling? Many of us make resolutions and many of them are broken by January 31st. Yet come the next New Year, we do it all over again, like some 365 “groundhog day” cycle we get trapped in. Why? In my patient’s case, unfortunately, I suspect her New Year’s resolution provided her with the opportunity to procrastinate. Despite comprehensive development of a smoking cessation plan, and extensive knowledge about the dangers to her health, she just didn’t want to give up smoking. Her New Year’s resolution bought her some time, gave her permission to keep smoking until January 1st. Logic dictates that if you want to change a habit or behavior, any time should be good enough to start the change process. Sure, some planning for the change is a good idea, but many of us excessively delay our proposed behavior change, and profess that we need a decent interval of time to ready ourselves. In actual fact, it is because we just want to hang on to our bad habits a bit longer and we build elaborate time justifications to assuage our guilt. Human beings are great at tying themselves into complex mental knots to diminish guilt, sometimes with dire consequences. People love symbols, rituals and structure; obviously some need them more than others. In our 21st-century lives, most of us do not live by the seasons, harvests or totally by available daylight hours. The calendar dictates the structure of our lives and within this, there are sub-calendars for business, work, school, anniversaries, birthdays and festivals. Our Gregorian calendar clearly marks January 1 as the official beginning of a new year. Certainly many cultures consider other dates as the beginning of a new year. Equated with a new year is a new beginning. The symbolism of using a publicly-acclaimed date for a new beginning may make us feel as if we have the support of a whole population for our New Year’s resolutions. There is a symbolic communal oath being taken by making a resolution on January 1, even if we make our resolutions silently and privately. Entwined in this symbolic gesture, is a mysterious human trait called “magical thinking”. We all indulge in degrees of this, particularly when we were children. Have you ever read your horoscope, avoided walking under a ladder or bought a lottery ticket? These are all forms of magical thinking. We imbue events, dates, places and people with powers that defy logic but nonetheless give us comfort and hope. Reparation often drives New Year’s resolutions. Coming hot on the heels of Christmas, the season of overindulgence, many of us make New Year’s resolutions to lose weight, stop or decrease alcohol intake, stop smoking, stop taking street drugs, decrease spending money, to spend more time with family, to work less or more in the New Year, and so on. 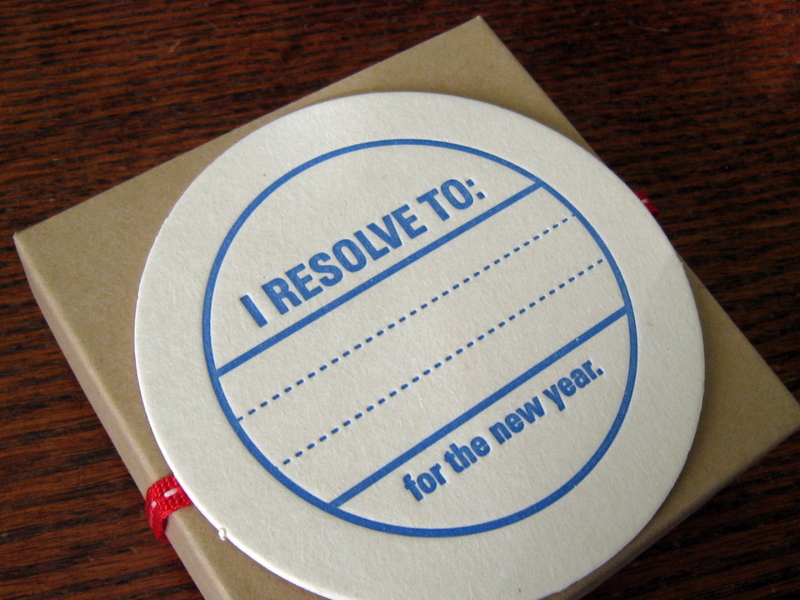 The list of resolutions matches the “bad” behavior expressed over Christmas. In this way the New Year’s resolution is a form of attempting to undo the excesses. The difficulty here is that some see the New Year resolution as forward permission to overdo it during December, believing we can expunge the consequences of our behavior by a bout of severe self-restraint in January. This feast and famine approach to bad habits doesn’t work because both extremes are short-lived and do not necessarily cancel each other out. Perhaps one of the deepest reasons to make a New Year’s resolution is embedded in our reactions to the end of the previous year. Maybe we see it as a loss and mourn the passage of time. After all, each year has its own personality, defined by the events of that year. If we lose loved ones in a particular year, through death or other partings, then that year becomes intricately entangled with the loss. In this situation, the New Year’s resolution is an important ritual combining both sadness and the positivity of a new start. Another patient once told me that every January 1, she repeats her wedding vows in memory of her husband who died five years ago and promises him that she will do her best for their children. This ritual allows her to live her life, having reaffirmed that her husband is not forgotten. Such New Year’s resolutions are held with a deep conviction, mark the passage of time and lay out a course for the year ahead. This year, we will again make New Year’s resolutions and, yet again, it is most likely we will break them. But we may get a little better with changing our behavior each time, and each year our resolutions could last a bit longer, allowing us to inch towards our goals. Jayashri Kulkarni , Professor of Psychiatry at Monash University, receives funding from the NHMRC, The Stanley Medical Research Institute,Washington, the Department of Health, Victorian Government.Over the past 25 years she has received research funding from the pharmaceutical companies Janssen Cilag,Eli Lilly, Astra Zeneca, Pfizer, Hospira,Roche, Otsuka and Lundbeck. This article is her own personal opinion and has no funding or influence associated with it.